A quick bit of house-keeping at the top of today’s article: as you may have noticed, I’m on the ProTrader side of the site. Overall, my writing is going to stay the same, but I’m going to limit explanations of common terms and avoid rehashing the basics as much. If you ever have a question about something I write about, reach out on the forums or in the comments—I have really enjoyed the great feedback and discussion I’ve gotten from y’all so far. Also, I’m going to try my best to keep the parallels to football to a minimum, but sometimes they work, so let’s just try and meet somewhere in the middle on that. And now, onto your regularly scheduled programming. I seriously have to tell myself that sometimes, because it really seems absurd. The accelerated release schedule that we’ve had is probably the first time where I’ve felt like things are coming out too fast. Dragons of Tarkir has been out for a little over a month, and most of us are only now realizing what a great set it is (let’s come back to this another week, though). Realize that, three months from today, two new Magic sets will have been released. It’s unheard of. One of the great things about Wizards is that so many of their choices and decisions, even at a corporate level, are informed by context and “getting” their audience. There are a lot of valid reasons for pricing Modern Masters sets like they have, and some of them are things they can’t really spell out on the mothership (WOTC really doesn’t like talking publicly about the secondary market). I hate this reasoning though—it’s like making Hello Kitty wine and saying that kids won’t want it, because they know the legal drinking age is 21. My LGS has a very casual and very young base, but they all drool over the Modern Masters boxes we have behind the counter. Magic, as a forward-facing product that is the subsidiary of a humongous toy corporation, is always trying to keep its #brand fresh by changing how it looks every year. Right now it’s Dragon World, before it was Greek World, and a couple of times it was Robot World (we won’t talk about the year that it was “Silk Button-Down Anime Shirt World”). The problem is that for the overwhelming majority of Magic’s audience, the brand isn’t defined by who or what is pictured on the packs this month, it’s by the allure of owning really good cards. Tarmogoyf is one of the most constantly talked about cards ever, on the level of Black Lotus and the best Jace. Want to own a Tarmogoyf of your own? Well, you can always try your luck at Modern Masters. There is going to be a lot of demand for this product, across a very wide spectrum of players. Those who can afford to buy sealed product are going to do so, but that number is likely to be a small percentage of the players you typically interact with. In the short term, I expect a lot of players to be looking to convert their extra standard and EDH stock into Modern Masters. If you are looking for a sneaky good opportunity to get in on things like Khans fetch lands or other standard-legal targets, it may be coming up. If you plan on getting into sealed product, consider having a box of packs that you trade out, especially if you are able to get in at the $200 to $225 range. A lot of players are going to want to get those packs, but taking a sure thing in trade is always going to be the winning side. I also want to talk about what is in the set, because as of now (Wednesday), we are starting to get credible information and spoilers. Most recently, Spellskite was added, and Splinter Twin, first suspected to be a mythic, was downgraded to rare. I expect that we will start to get official WOTC spoilers soon, and that we will know the full set long before it gets published officially. There was a big leak over the weekend, which featured the (original) Command cycle, Goblin Guide, Noble Heirarch, and several other high-profile cards (in addition to the aforementioned Splinter Twin). On Monday morning, at least a full day after the leak went viral, I had a friend ask if now was the time to move his set of Noble Hierarchs (which he does not currently use, so it is not impacting his ability to play). I told him no, because the best time has likely already passed. At this point, the smartest move is to wait until Magic Origins: if the supply of MM2 has dried up, then prices will start to rise like last time, and he’ll come out as well as he would have (if not better) than selling them before the leak. 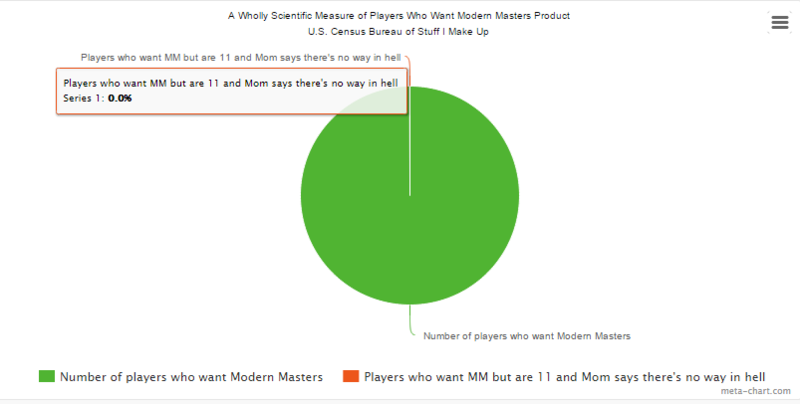 If you have anything you are considering selling that falls in the range of “potentially in Modern Masters 2,” my best recommendation for right now is to wait. I think most vendors are going to be very conservative on buying until we know the full set, and once something is for sure not in, the price will likely see a small, quick uptick. Anything that is spoiled for MM2 will likely see a short dip, followed by whatever impact MM2 will have on the market. My personal expectation is that there will likely be “enough” MM2. The print run on MM1 was small, and was made even smaller by distributors stashing away cases. I think the two-pronged solution of more product plus a higher MSRP (which also means “higher wholesale cost”) will prevent distributors from holding onto as much as they did last time, so a higher percentage of the total print run will hit the market. 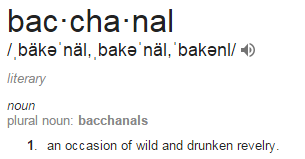 A lot of packs are going to be shipped out in anticipation of the massive bacchanal sealed GPs that will be happening the following weekend, but I suspect that that is merely in addition to the print run, not a portion of it. WOTC wants to make sure that people feel like they had the chance to get some, without devaluing the product so much (in either price or allure) that they can’t swing Modern Masters 2017 in two years. Things like Serum Visions will plummet back to earth, but the cards like Dark Confidant and Tarmogoyf will stay elusive enough to make people clamor for future printings. 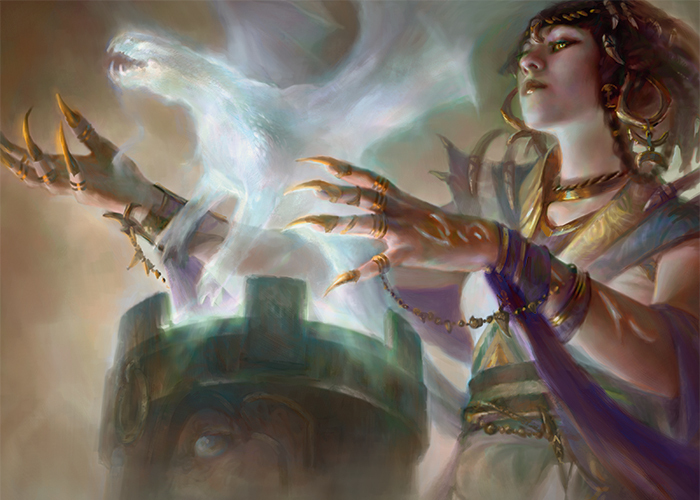 In the arcana for the upcoming FNM promos, they said July and August will both be Modern staples in honor of MM2, even though the set will be released two months earlier. It doesn’t say specifically if Path to Exile (the first promo) will or will not be in the set. I could see it going either way. Speaking of promos, I read that roughly 1,200 of the new Liliana promos were given out last weekend. If that number stays the same, it means less than 10,000 of them will be in existence at the end of the year. I don’t plan on trying to get my set until after the third round of RPTQs, when they will lose their allure. Speaking of Liliana of the Veil, all of the cards “safe” from Modern Masters 2 (Innistrad, Return to Ravnica, etc.) are probably going to see a short-term surge, but will settle back after people realize that wasn’t a supply-driven spike, but rather opportunism. Stay away in the short term, unless you see something that you absolutely can’t live without that has stayed relatively static. Shout out to Jagster in the forums. I’m excited to see what draft archetypes get included this time around! It’s crazy that Blood Moon, a card that has been in Eight Edition, Ninth Edition, and freakin’ CHRONICLES is still $20. That would be a great include, but at some point you have to expect Magus of the Moon to start climbing. That card was in one set, and that set was Future Sight, so it almost doesn’t even count. Plus, do you remember the 8-Moon decks? I sure do, they were sweet. I’m tempted to just buy a ton of magi right now for retail. I also want to build Karstenbot again. Profane Command is about to be reprinted for the actual hundredth time. That card gets no respect, no respect at all! Profane Command gets so little respect, American Airlines called, they thanked him for flying United! We haven’t gotten official confirmation, but I don’t think there will be room for any of the Swords since the Eldrazi (and their Dust) will be taking over mythic slots. This means that there won’t be many good targets for Steelshaper’s Gift, which means the card could very likely not make it in MM2. If it’s not, I expect it to be the most expensive uncommon in Modern, unless I’m missing something super obvious. 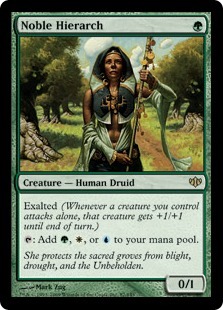 Also, I’m hoping for a Remand reprint. People were clamoring after Splinter Twin got confirmed at rare that the Reddit leak was wrong, but the source had a lot of credibility from getting stuff right with MM1. If you don’t remember the old leaks (Ranc0red_Elf, et al), then it may sound like these leaks are just people throwing stuff against a wall to see what sticks, but there are a few sources with credible info. Getting rarity wrong is not a glaring error, especially since they are typically only dealing with limited information, and I’ve seen a lot of pictures where the set symbol could be either gold or orange. When you are reading spoiler info, try to get a sense of the poster’s pedigree, and if they have a high resolution, full frame picture of a new planeswalker with a crazy ability, assume it’s fake. We are going to do another set review coming up soon like I did with Future Sight. I’m thinking Coldsnap, but if you have a favorite, let me know! Thanks for reading my first ProTrader article! It was a pretty difficult topic to try and cover all at once, but I am more than happy to go over anything I may have skimmed in the comments. If you want to talk about any of this below, I’ll keep a close eye on the feed. Thanks, and I’ll see y’all next week! Please, don’t link these to reddit if they’re behind a paywall. It’s really impolite. Sorry! Used to posting my articles on mtgfinance, guess I won’t anymore.